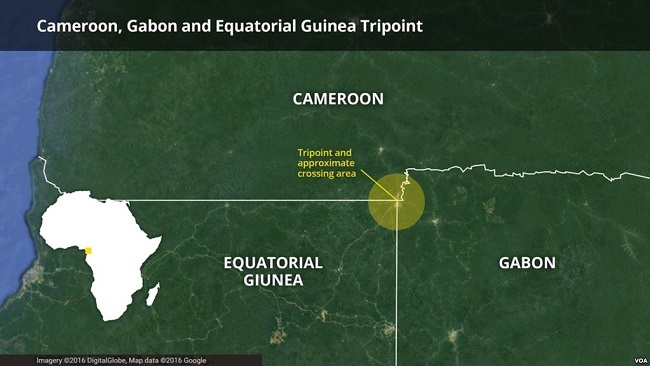 The Cameroon-Equatorial Guinea border has been officially re-opened, four months after it was closed following a foiled coup d’etat in the latter last December. Business people on both sides have welcomed the move that resulted from an agreement between administrative officials of the Kié-Ntem Province of Equatorial Guinea and the Ntem Valley Division of Cameroon. Free circulation will, however, be restricted to Tuesdays and Fridays. A Cameroonian trader, Ms Loveline Asa’a, said she was happy with the decision but hoped that it would be to extended to include all week days. Cameroon is a major supplier of mostly consumer goods and foodstuff to Equatorial Guinea’s 1.2 million population. Administrative authorities said should peace continue to prevail along the borders of the two “friendly” countries, the barriers would be completely lifted. “Progressively, the Guinean authorities judged for themselves that it was necessary to relax the exchanges and we think that if it continues in this way, the barriers will be completely uplifted,” said Mr Handerson Queton Kongeh, a senior divisional officer of the Ntem Valley. Equatorial Guinea closed its border with Cameroon at Kye-Ossi last December following a failed coup d’etat in the oil rich Central African state. The security measure, traders said, crippled economic activities in the border towns and decelerated exchanges between Yaoundé and Malabo. Both Cameroon and Equatorial Guinea are members of the six-member Economic Community of Central African States (CEMAC) bloc.